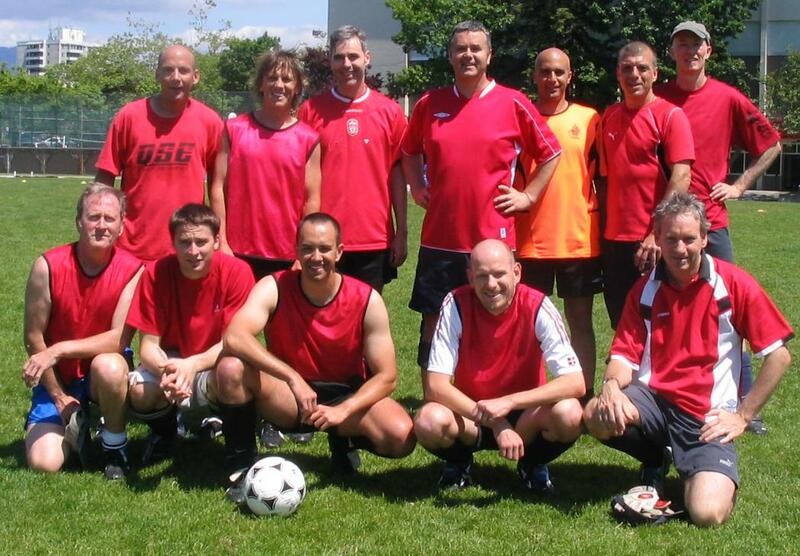 FUFC(Fathers United Football Club) - Picture by Big Dave. FUFC has been in operation for over 15 years (as of 2015). It started as a class run by Jason for fathers of Brittania Micro Soccer kids. This was quite successful and eventually spawned a soccer mom's session as well. Eventually we all smartened up and realized we didn't have to pay to play, and so just all started up showing up on Saturday afternoons. The picture above is taken from one of the Father's days tournaments hosted by Jason and Brittania Rec Centre. FUFC would field a team and would usually put in a respectable performance. However, it all fell apart as a visiting team got hostile and wanted to fight. Jason cancelled the tournament after that year.